Cove Park, a five acre public park is situated between Ingleside on the Bay and the City of Ingleside, off of Highway 1069. Built in 1991, this park has two free lighted public boat ramps that offer boaters and fishermen a direct outlet into LaQuinta Channel and Corpus Christi Bay. The park also has a small fishing pier, four shaded picnic areas with benches and grills and approximately one quarter-mile asphalt hike and bike trail. Located in the center of the park is a large grassy multi-purpose field ideal for a friendly game of soccer or football. The park boasts a magnificent view of Corpus Christi Bay and is the perfect spot to watch a glorious Coastal Bend sunset. In 1993 improvements were done to the park which included vegetative bio-filter development, xeriscaping and a micro-estuary just to the rear of the boat ramp that offers a personal glimpse of how an estuarine environment works. Pets must be on a leash. No alcohol allowed. Public restrooms are available. The N.O. Simmons Park is the city’s sixth recreational facility developed through public/private partnerships. This $1.5 million recreational facility in the City of Ingleside provides a variety of activities for all age groups and interests. While the Skate Park is the most prominent feature of the N.O Simmons Park, the park also includes a nearly mile-long hike/bike trail that winds through the site, with four fitness stations along the trail. The park has seven soccer fields of varying sizes for adult league to Pee Wee league play, a multi-use 7,000 square foot lighted field, a covered lighted basketball and sports court, and a lighted group pavilion with game tables and a barbecue area. There are also covered and uncovered picnic tables, along with a 3,500 foot toddler playground. Several permanent cultural kiosk exhibits are located throughout the park which highlight the city’s economic and social development. The west boundary of the park contains a man-made drainage channel that is being enhanced to create a permanent pond area. The pond features a foot-bridge across the channel that will double as a fishing pier and a separate bird-watching observation deck. The city’s location along the Texas Parks & Wildlife Department’s Great Texas Coastal Birding Trail means that this new permanent pond will attract many of the migratory birds that visit the area each year. The native vegetation habitat also is expected to become home to many of the bird species that make the Coastal Bend region their home. Development of the park began in late 2001 with the donation of the 13.532-acre site to the City from N.O. Simmons, a regional real estate developer, and his wife Maria Lourdes Lara Simmons, with the provision that it be developed as a recreational facility. The City pledged $500,000 of the nearly $1.5 million property value as a dollar-for-dollar match to $500,000 in federal and state park grant funds awarded to the City through the U.S. Department of the Interior’s Land and Water Conservation Fund and the Texas Parks & Wildlife Department’s Texas Recreational and Parks Account program. Truly a public/private cooperative venture, in addition to the City’s pledge of general revenue, several other sources provided cash and volunteer in-kind labor to accomplish construction of the park. These were provided by the Department of the Navy’s Naval Station Ingleside crew, San Patricio County Drainage District, San Patricio County Commissioner Jim Price, Ingleside school district, and three youth sports associations: Tri-City Youth Soccer, Sparkling City Youth Basketball, and Ingleside Youth Basketball leagues. All facilities at the Park are free to the public. Faith Park is located adjacent to City Hall on Mustang Drive. Centrally located between residential neighborhoods, City Hall and the schools, Faith Park was conceived and developed by the Garden Club in the 1970s. This six acre pocket park includes the city swimming pool, the Hildegard Schmidt Garden Center and includes swings, benches, barbecue pits, Little League Fields and a basketball court. Funded primary through private donations, the city provided playground equipment for the park. During the summer months this is the perfect site for a day at the pool and picnic with the family. Pets must be on a leash. No restrooms. The Whitney Lake Project is now open to the public and is free of charge. What began as a drainage project has evolved into a nature lovers’s dream come true. 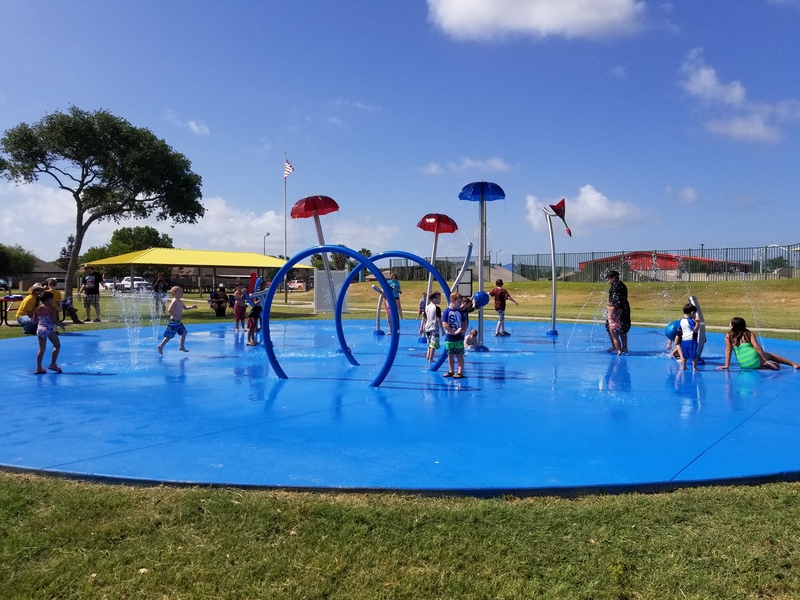 The City acquired 70 acres of land that are protected wetlands and upland buffer areas within the Lake Whitney and McCampbell Slough area of Live Oak Peninsula to provide a public recreation and education access area. The watershed, which drains into Port Bay in the Copano Bay System, is approximately 3.3 miles downstream and is extremely diverse, containing freshwater wetlands, brackish marsh, salt marsh and tidal flats. Habitat within this watershed is generally recognized as some of the most valuable habitat on the Live Oak Peninsula. This area has been recognized as a high priority for protection by the Texas Parks and Wildlife Department, the U.S. Fish and Wildlife Service and the Nature Conservancy, the Coastal Bend Bays Foundation and the Coastal Bend Bays and Estuaries Program. McCampbell Slough is particularly noted as a productive and valuable estuarine wetland complex that provides wintering and migratory habitat for waterfowl, shorebirds, wading birds, and other species, as well as nursery habitat for shrimp, blue crabs and finfish. Lake Whitney is a 70-acre wet-meadow noted by local natural conservation personnel as unique in South Texas. Lake Whitney remains wet, even during periods of prolonged drought and has been regarded as an ecological and recreational asset since the early 1930s. The Lake Whitney offers several bird watching areas, extended docks over marsh areas, observation platforms and many other amenities for watching the native wildlife in the Coastal Bend. In addition to the excellent recreational and educational opportunities, Whitney Lake provides wintering and migratory habitat for waterfowl, shorebirds, wading birds, and other species. This acquisition of habitat allows the City of Ingleside to protect this resource, provide public access and provide excellent recreational and educational opportunities for the public. Whitney Lake is located off of Highway 1069 north of Ingleside, on Tiner Lane. No pets allowed. No Alcohol allowed. Live Oak Park is set on approximately 90 beautiful oak covered acres in South Ingleside. 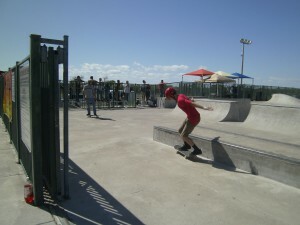 In this park one will find many fun, family oriented and athletic activities to do. Nestled among large live oaks you can enjoy a picnic with your family and friends, or cook at one of several barbecue pits scattered around the park. There are many picnic tables available for use and several secluded picnicking areas. The park also offers some covered picnic areas. 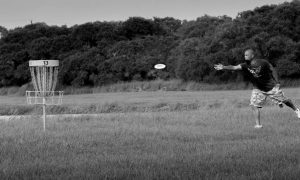 The park features an 18 hole disc golf course which has been described as one of the most challenging in South Texas and is used for two major tournaments each year. The park also boasts three lighted tennis courts, a lighted basketball court, a softball field, a play ground for children, and miles of nature trails. Additionally, the park is designated as the official site #55 on the Great Texas Coastal Birding Trail, and for good reason. The park contains a fresh water lake that is home to a variety of birds and is located on the migration trail through the area. Live Oak Park is also used as the site for the Ingleside Chamber of Commerce’s annual Renaissance Faire. The park plays hosts to the Palomas Fun Run each year to raise funds for cancer awareness. The Palomas Fun Run is sponsored by the Ingleside Woman’s Club. The Bluebonnet Run is also held at Live Oak annually during March at the height of the bluebonnet season and is sponsored by the Lions Club. Portions of the park can be reserved in advance. Pets must be on a leash. Alcoholic beverages by permit only. The park is located off of Highway 1069 on the south end of Ingleside. Oak Terrace Park located on Eighth Street is a semi-residential park that is tucked away under a grove of winding oak trees. Here one will find slides, swings, seesaws, rockers, tables, and benches within the park. This is an ideal park for small children to play or for families to enjoy a picnic under an abundance of shade. Pets must be on a leash. No alcohol allowed. No restrooms on site.